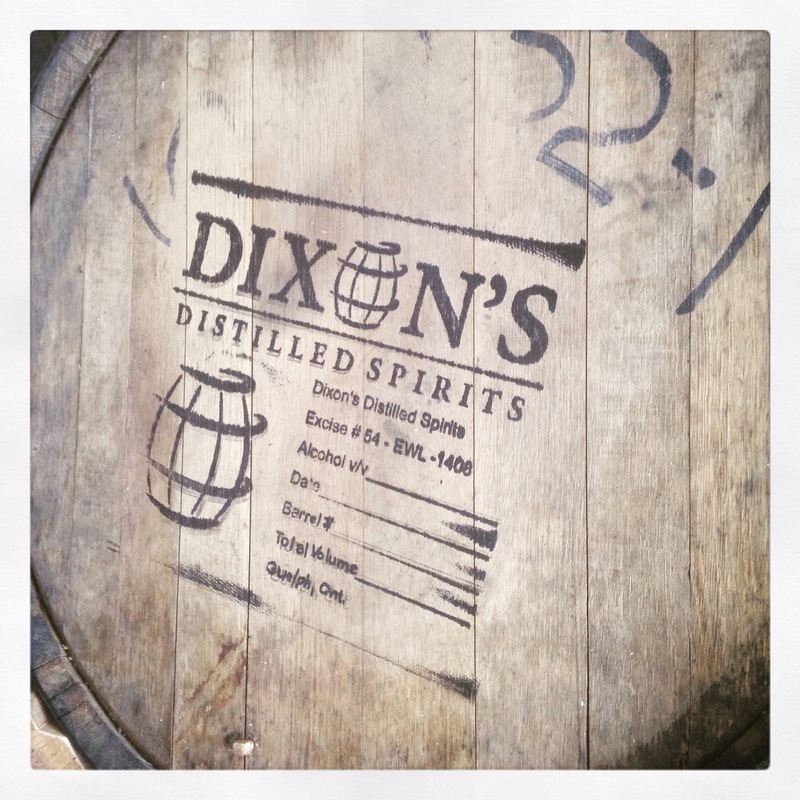 The people at Dixon’s Distillery have been building and distilling for over a year and just opened up their doors to help with public consumption this August. I didn’t even know Guelph needed a craft distillery until we got one. Thanks to mayor Cam Guthrie for ending prohibition so early in his term. As one who dabbles in his own dark magic – converting cheap American vodka into premium gin – I am always keen to chat it up with fellow elixir makers and sample their potions – so i had a great time with co-owner Vicky Dixon, chatting up the finer points of distilling. Finer points like how to put some of that into my glass so that i can taste it. 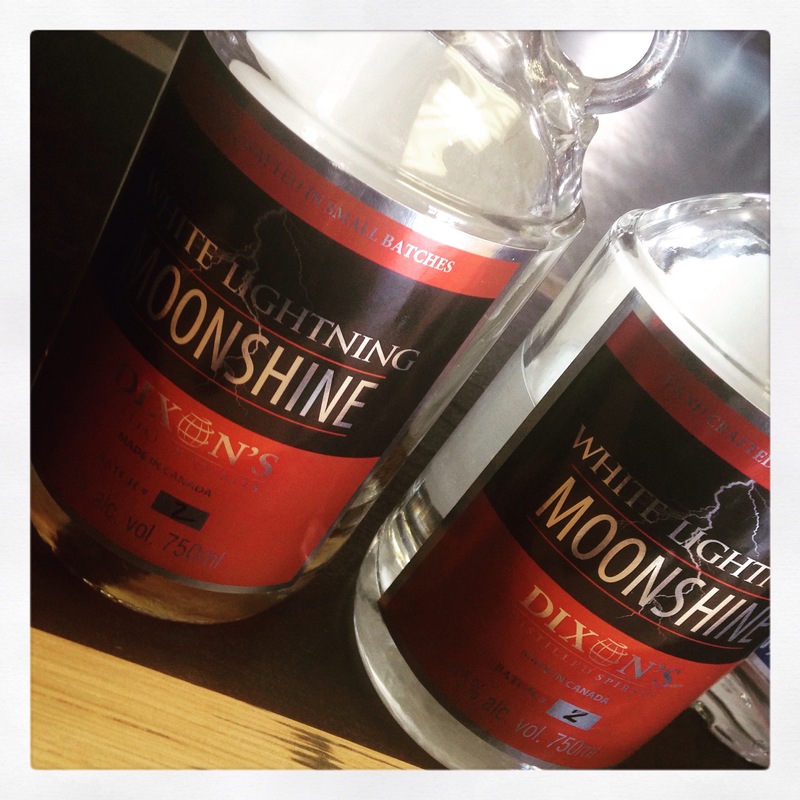 White lightning, vodka, and gin is what they make from locally sourced grains and water. Finally a healthy use for water. They even age some of the moonshine with an oak spiral in the bottle to give it a bourbon character. I have the unaged moonshine in my freezer right now because I like drinking it cold. I really like that i can taste the grains through the alcohol – more so than any spirit I’ve had before. Straight up it makes a fine martini. 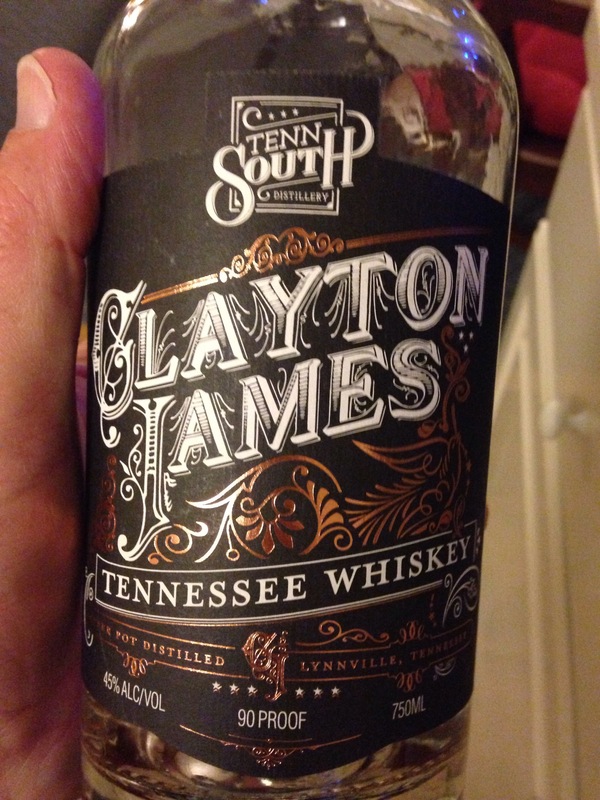 You can pick up a bottle of your own for under $40 at the distillery. It’s worth a visit and a much shorter drive than to Tennessee. 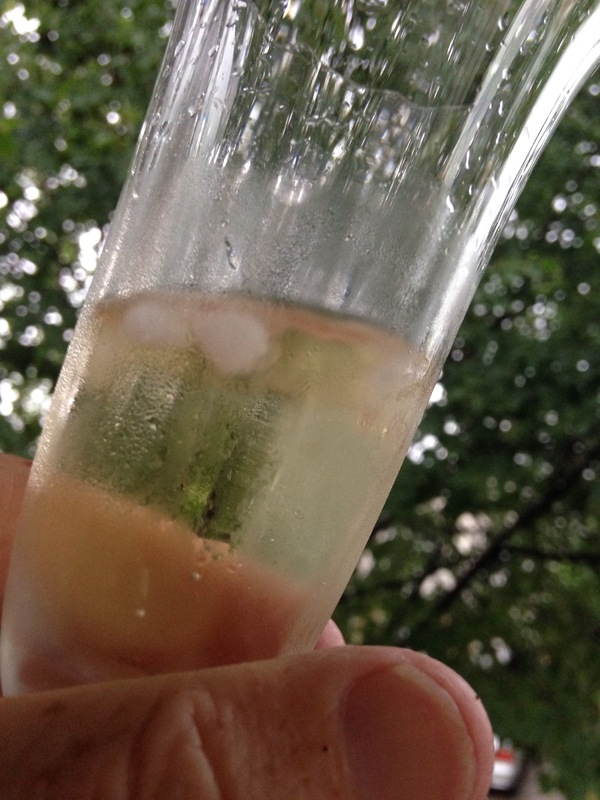 When it’s 100 degrees in the south in ‘Merica your typical wine blogger drinks two things. Beer and Bourbon. Together. Cheap cold beer [Yuengling Lager] and Tennessee whisky to be accurate on the balcony overlooking WC Handy Park, 10 feet off of Beale. I can hear several of you saying “Ah, that’s what Marc Cohn was singing”. The sweet harmonica sounds of Mr. Vince Johnson and the Plantation Allstars filled the air. 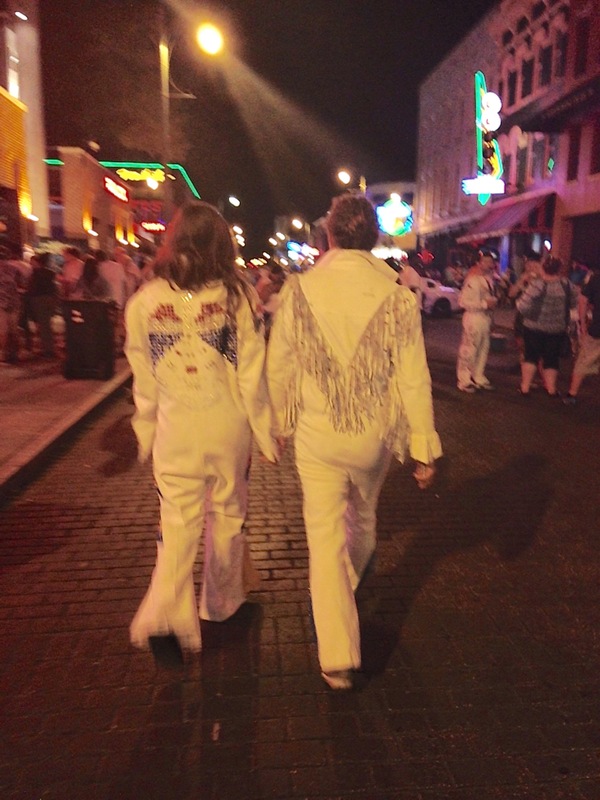 Also, I might have dressed up as Elvis with my daughter M and literally walked Beale St.